Here are 3 antique vintage table runners dresser scarf tray doilies. The antique vintage table runner dresser scarf has an art deco flower motif at each end and a handmade crochet lace edging. 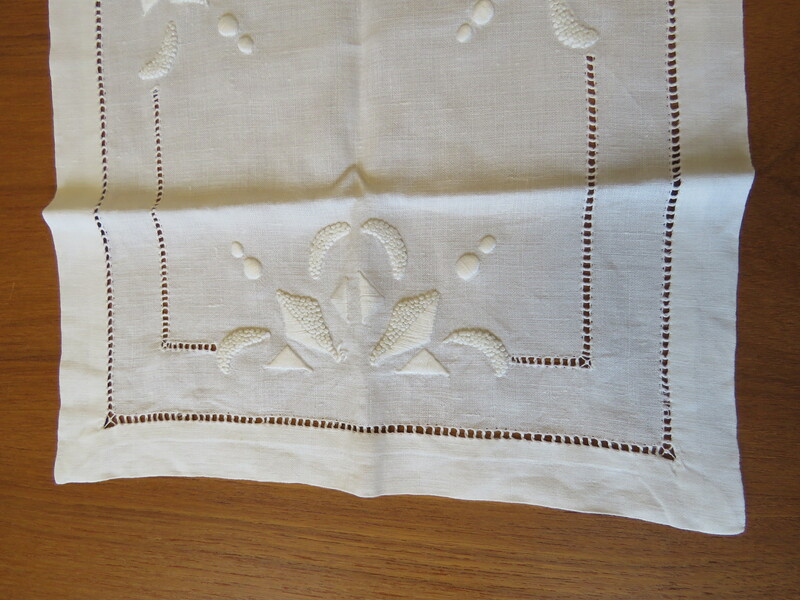 Cream Butterfly Embroidered Table Runner Measurements: 47" x 16". White Art Deco Table Dresser Tray Doily Measurements: 20" x 11 3/4"
Cream Oval Table Doily: 26" x 15" including crochet lace edging. Condition: The butterfly table runner has a tiny golden mark. The oval table doily has a couple golden marks and a couple of breaks to the crochet lace edging.